Shannon L. Smith is an associate in the Employee Benefits and Executive Compensation group. She works with all types of employee benefit plans, including health and welfare plans, retirement plans and executive compensation arrangements. Shannon's experience includes drafting Summary Plan Descriptions (SPDs), Summaries of Material Modifications (SMMs) and Summaries of Benefits and Coverage (SBCs), and various notices required by the Employee Retirement Income Security Act (ERISA), the Consolidated Omnibus Budget Reconciliation Act (COBRA), the Health Insurance Portability and Accountability Act (HIPAA) and the Affordable Care Act (ACA). 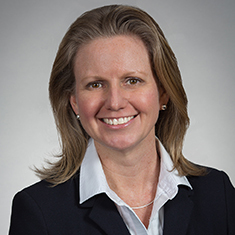 She also has experience negotiating service provider agreements and HIPAA Business Associate Agreements, and analyzing ERISA prohibited transaction and preemption issues. In addition, her practice includes 401(k) plan compliance, FICA and FUTA taxation issues, and drafting employment and separation agreements. Prior to joining Katten, she worked for a Manhattan firm where her practice focused on matters involving Title I of ERISA. She also served as an intern at the ERISA Industry Committee in Washington, DC. Shown below is a selection of Shannon’s engagements.